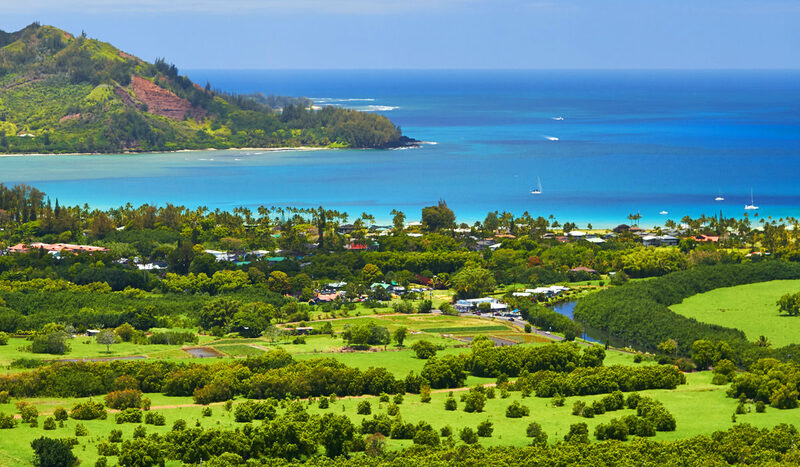 Hawaii is a beautiful state in the United States, popular for its splendid beaches and islands. With the swaying palm trees, the turquoise waters and the soft golden beaches, Hawaii is like no other place on earth. It is home to one of the world’s most active volcanoes, the world’s tallest sea mountain and known as birthplace of modern surfing. 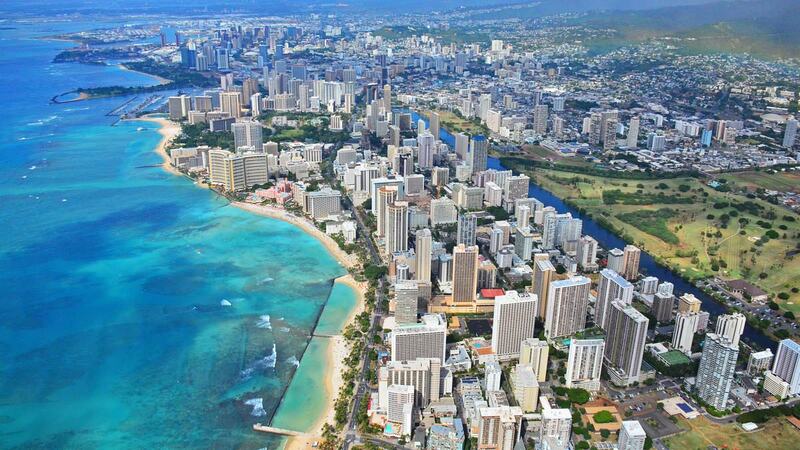 Honolulu - the capital city of Hawaii is a great escape as the surface is filled with beauty and history. This honeymoon package explores the best of Hawaii including the capital city Honolulu, Pearl Harbor and the famous islands of Maui and The Big Island. This honeymoon package offers the ideal beach honeymoon tour with plenty of other sightseeing options, city tour and lots of adventure activities options also available for you to indulge into. This honeymoon package is an ideal, most romantic and enjoyable tour to the famous destinations of Hawaii in USA, the memories of which will always remain fresh in your hearts for the lifetime. Arrival Honolulu: Arrive at Honolulu International Airport, where you will be greeted by our representative and will be taken to your hotel. Pearl Harbor & City Tour: Located in island of Oahu , Pearl harbor would be known word to you , which was attackes by Empire of Japan and which resulted in World War II. It is the largest natural harbor in Hawaii and is also a National Historical Landmark. USS Arizona Memorial is located here where you can learn about this historic attack . Pacific Aviation Museum , USS Oklahoma Memorial , USS Bowfin Submarine Museum & Park are some other places of interest. Afternoon, free at leisure. After lunch, the group will depart for Polynesian Cultural Center that located at the north shore of Oahu. It is a center established by the Marmons and seven Polynesian tribes are presented including Samoa, Moorea, Fuji, Hawaii, Tonga, Tahiti and Marquesas islands. The tribes’ architecture, crafts dance and customs will all be presented. After dinner, a large-scale show featuring dances of different tribes will be preformed. Island of Maui: Also called as “Valley Island” it is home to heavenly beaches and natural wonders and offers some of the best beaches in America. Stroll down the beach side streets or go for Whale watching, Sunet seeing, shopping in this place so called heaven. Some of the famous place in this island is Lahaina , Haleakala National Park , Hana , Kaanapali and also gof courses. Island of Hawaii, The Big Island: Today, the first stop will be the Black Sand Beach at the foot of the volcano, then proceed to the Hawaii Volcanoes National Park and visit the volcano museum, and the park’s unique geographic features such as the craters, the lava tube, and the steaming vents of the volcanoes. After lunch, the group will visit Macadamia Nuts Farm, Rainbow Falls and An orchid garden. Fly back to Honolulu after tour. Hotel–Airport: You will be picked up at the hotel for departure flights back home. Hotel accommodation which based on two adults sharing one bed room. Baggage handing fees, phone calls, room service, movies etc. Meals (breakfast, lunch, dinner) and tips for waiters or waitresses. 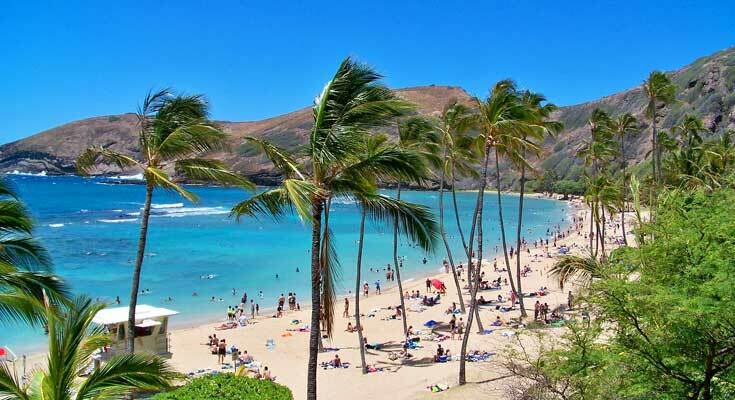 If you are not able to make up your mind from any of the tour itinerary or hotels listed above in Romance in Hawaii 7 Days Honeymoon Package, then we can also make changes and provide a customized, tailor-made romantic honeymoon vacations, especially for you. We can modify this package as per your budget, duration as well as the tourist places you’d like to visit or whether airfare should be included or not. This customization helps you make the best out of your honeymoon package with your loved one and keep the candle of romance burning. 2016 and all airfares will be arranged by myself. Pl. send the quote with detailed itinerary. I just love Hawaii. was here for my honeymoon. water sports activities provided here are excellent. this place should be visited by everyone at least once. I had been looking for a package to Hawaii. This one looks pretty good to me. it has almost everything that i was planning to do. Will opt for this package on my honeymoon.